Small glass pieces, even ones that are not sharp, are generally not a good idea for young children due to safety issues. However, we don't want to ever exclude anyone from the Hiddur Mitzvah Project. To solve this, we have developed the Preschool Paper Project. Created specifically for the under six crowd, this program allows them to work with colored paper instead of glass. The Paper Project works in the same way as the rest of the Hiddur Mitzvah Project except that instead of glass pieces, the participants glue precut squares of colored paper onto a cardboard grid, filling in the spaces. 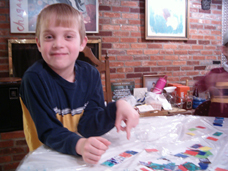 When the projects get sent back to the studio, the artisans here match up the colored paper to glass and recreate the children's creation as permanent art. Any Hiddur Mitzvah piece can be created as a Paper Project, but we have something special for the mezuzot with something we call the Mezuzah of Life Project. Upon completion of the project, the colored paper strip gets cut in half, making two identical strips. The children each will go home that day with a paper mezuzah with one of the strips attached to the front. 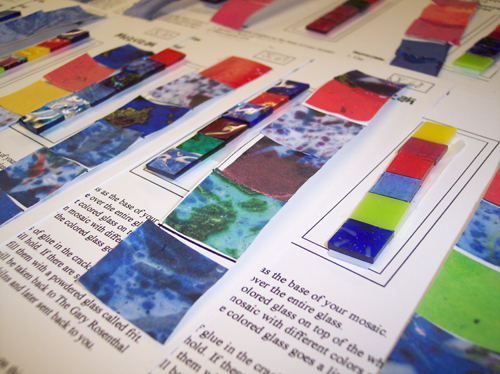 The other strip is sent to us at the studio, where glass replicas will be made. 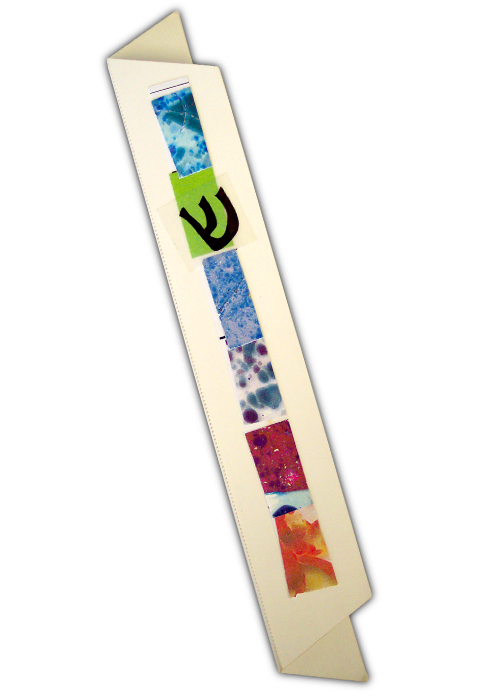 When the glass is fired, just like the other pieces, the finished mezuzah will be returned to you. 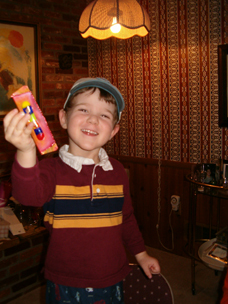 The children can then be given a "real" mezuzah made out of glass and metal that looks just like the paper one they made and took home. 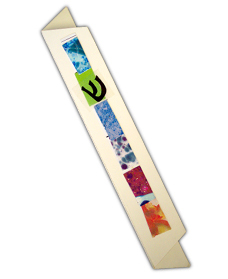 Additional mezuzah replicas may be purchased if desired. Pieces created with the Paper Project are the same cost as any regular Hiddur Mitzvah item but there is no additional charge to incorporate the project into your program.